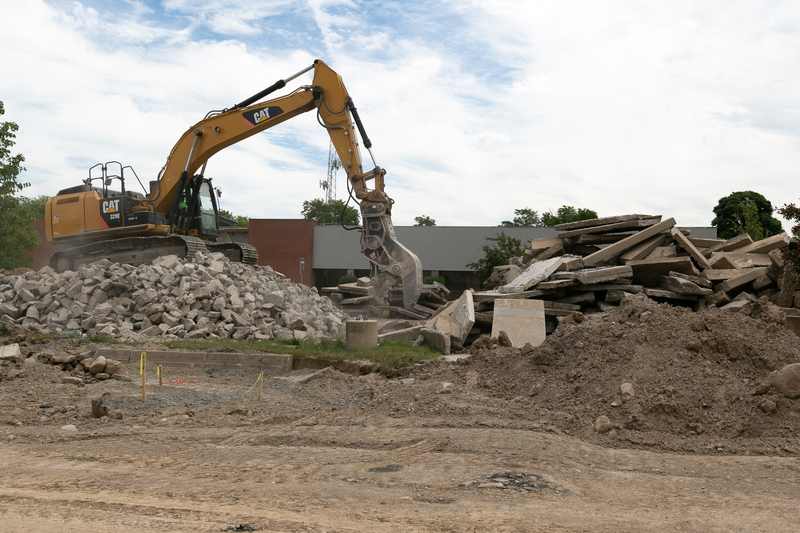 If you’ve driven past the Calkins Road Business Park recently, you’d have been treated to a sight of intense activity. 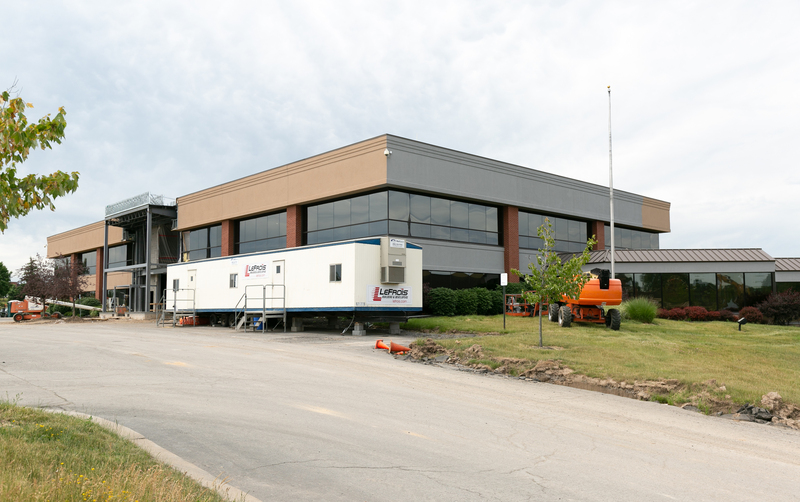 Paychex is expanding, and to accommodate the new division, we are near completion on 2 of 3 buildings and well into renovation of Building 3. 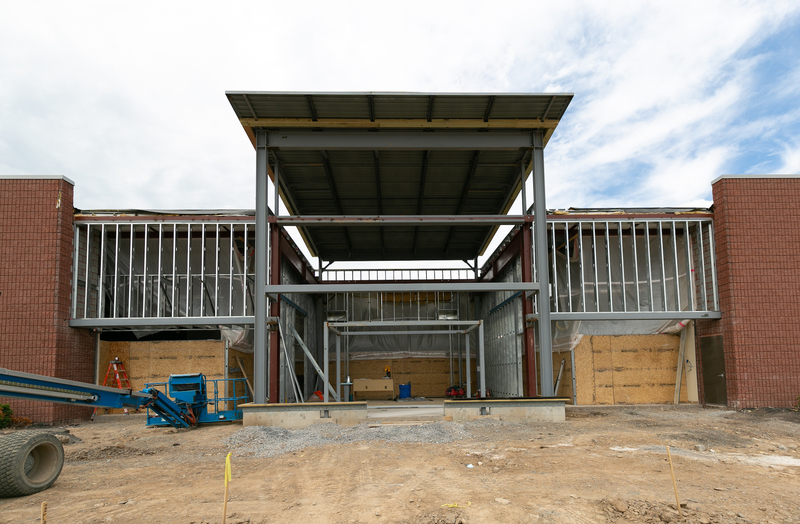 This project will create one huge campus feel with over 150,000 Square feet of newly renovated space and an additional 140,000 square feet of existing space. Paychex is projected to add roughly 625 job to the Rochester area over the next 5 years. 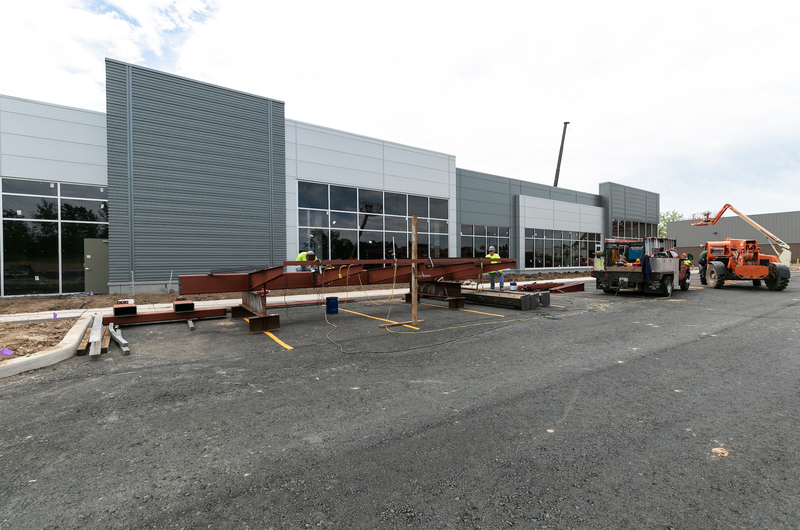 In case you missed the news, The Duke Company, the area’s leading equipment provider, partnered with us to build their new expansion wing. 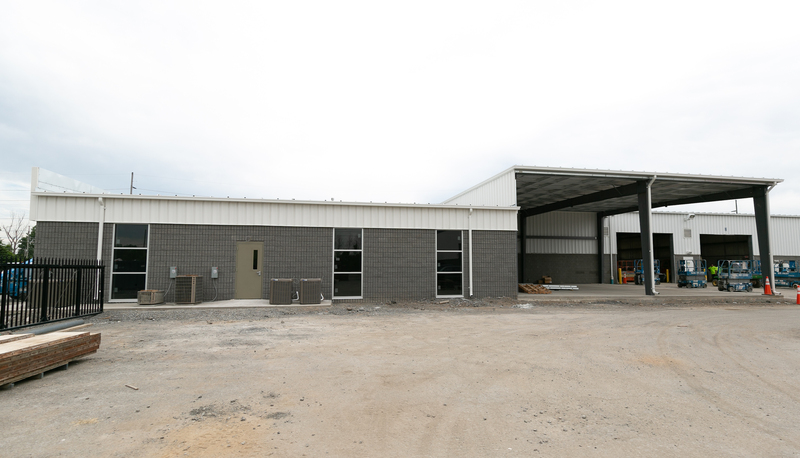 This roughly 5,000 Square foot expansion will help The Duke Company to create jobs and give covered equipment storage. We are proud of the LeFrois crew for their continued efforts and craftsmanship that allow us to continue to encourage job growth in Rochester. For a refresher on where these projects stood at the end of winter, our winter update can be found here. 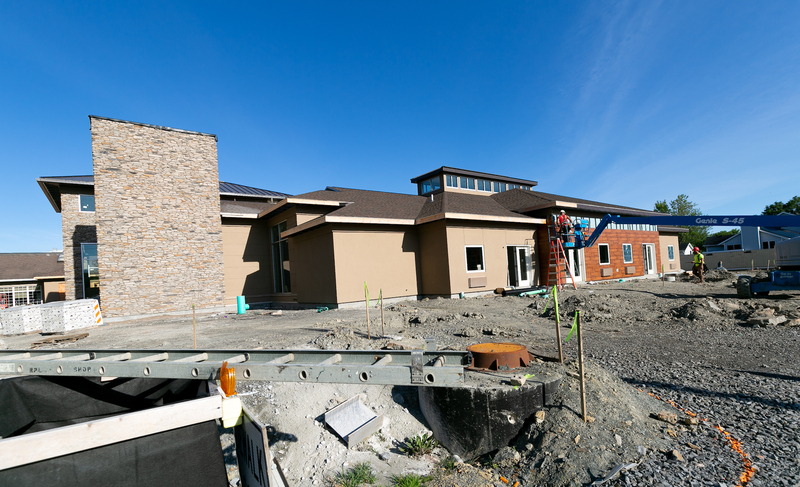 The Maplewood Nursing Home saw significant development this spring, as the exterior transformed from bare steel supports to a structure with an impressive stone facade. Another wing of the building received a wood panelling treatment, for a modern contrast look. 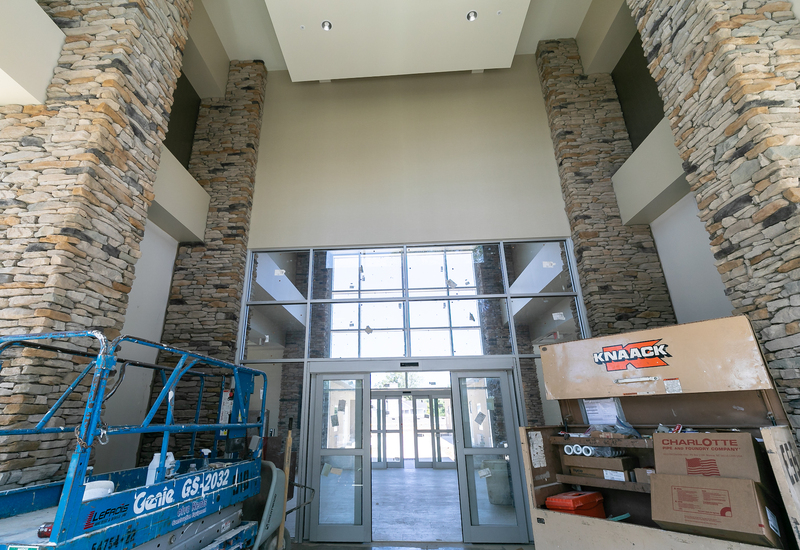 Much progress was made inside as well, with an grand entranceway that, between the stone columns and natural light from the tall windows, will feel warm and welcoming. Contrast in textures and colors is giving this project an upscale, modern touch. Feels like it goes on forever, and once finishing pieces added, will draw you in comfortingly. 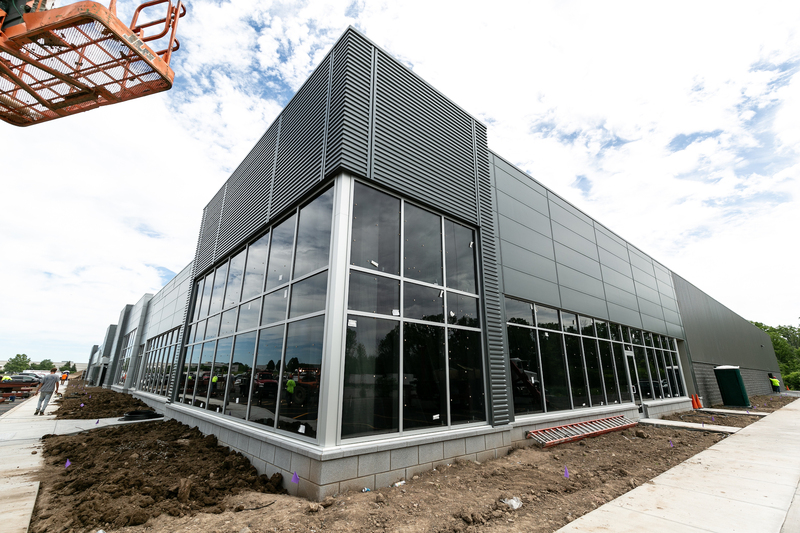 The 100,000 square foot “Otical Center of Excellence” project, also known as IDEX, is located at our John Street property in Henrietta. 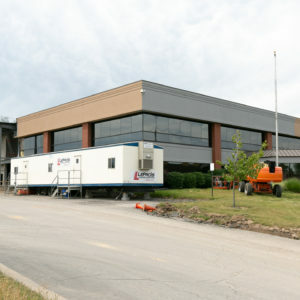 This development, expected to bring 34 full-time photonics jobs to the area, has undergone a transformation since winter. 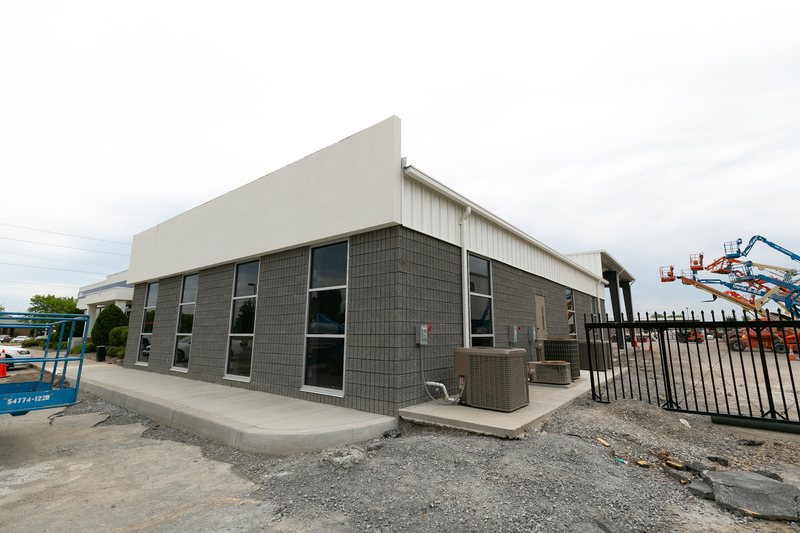 What was once bare ground is now boasts an impressive sleek exterior. 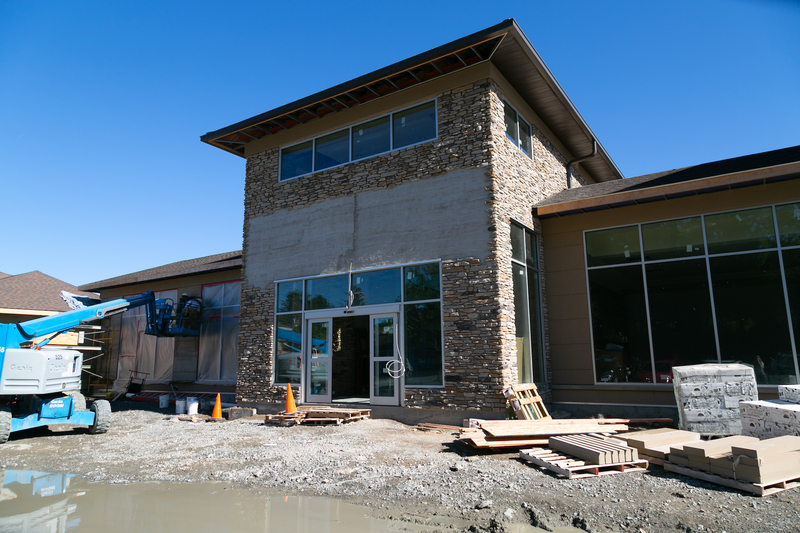 Interior improvements are wrapping with up and IDEX is currently moving in.. Looking forward to a ribbon-cutting ceremony here! Pardon us if we swoon at the building’s lines. Interior development in progress at IDEX. 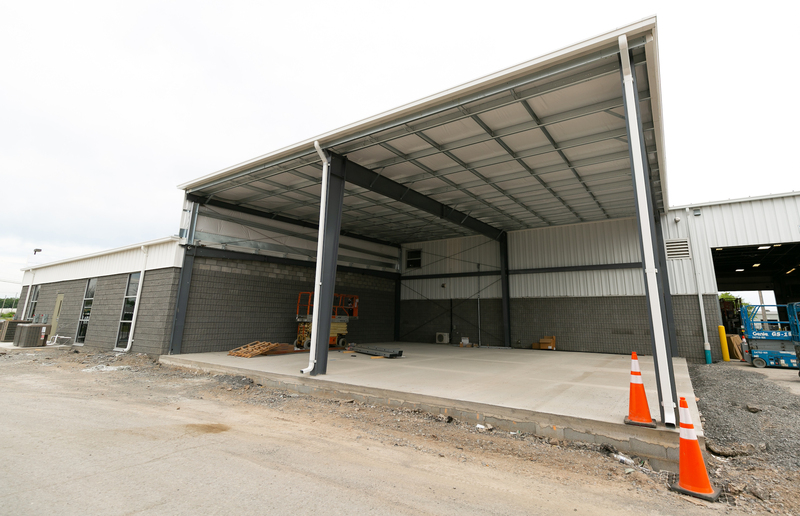 Headquartered in Henrietta NY, LeFrois Builders and Developers has developed over 30 million sq ft of real estate in Upstate New York and Central Florida. 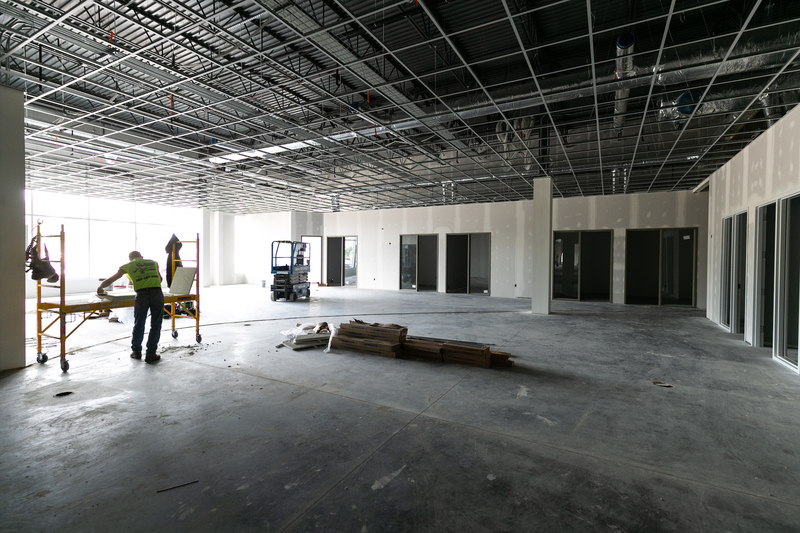 Construction projects they’ve served include mixed-use, office, automotive, industrial / manufacturing, healthcare, retail, residential, and municipal space. Founded in 1947, the company has remained family-owned and employs over 80 staff. LeFrois can be reached at 585-334-1122. Click to learn more about LeFrois.